lions and tigers and coatis oh my! I was sitting in my parents room watching animal planet when I watched a group of volunteers rescue fourteen cougars, five lions and one tiger from a neglectful home in Poetry, Texas. The floors were covered in feces and many of the cats were without water and on the verge of starvation, then these people came in in their lime green shirts and took them and gave them a better home. Those people were the fabulous crew from In-Sync Exotics. I hurriedly wrote down the name and found the website. What if, by chance, I ended up in Dallas, Texas one day? I would want to know where to volunteer to work with big cats. About a year and a half later I was packing my bags and heading out to Southern Methodist University, when I found the bookmark on my computer that led to In-Sync Exotics. I was so excited. My parents were a little disappointed, I think that they were hoping that I would spend more time partying and meeting new friends then camping out in my single dorm room and spending my weekends cleaning up after tigers. The first time I went to visit In-Sync I was so excited. I had never been so close to a big cat before, and they were huge. If you’ve never stood a few feet from a full grown male tiger, you are missing out. There is something so beautiful and majestic about the way a big cat saunters. I filled out my volunteer application that night, had my interview and began my time at In-Sync Exotics. Rose colored glasses aside, I found myself, a pescatarian of seven years, chopping up hundreds of pounds of meat and barely getting to see a cat. The smell of the meat would linger on my skin, it took me weeks to find out which kind of body wash would mask the smell of raw meat. On about my third or fourth weekend I began rotating one day a week cleaning one of the areas that housed white lion brothers Jazz and Shazam, Jynxie, old Sabu and the lovely couple Khan and Sheila. I began bonding with these big cats in a way I never thought possible, I had never envisioned myself falling in love with these lions, as I had always loved tigers growing up. 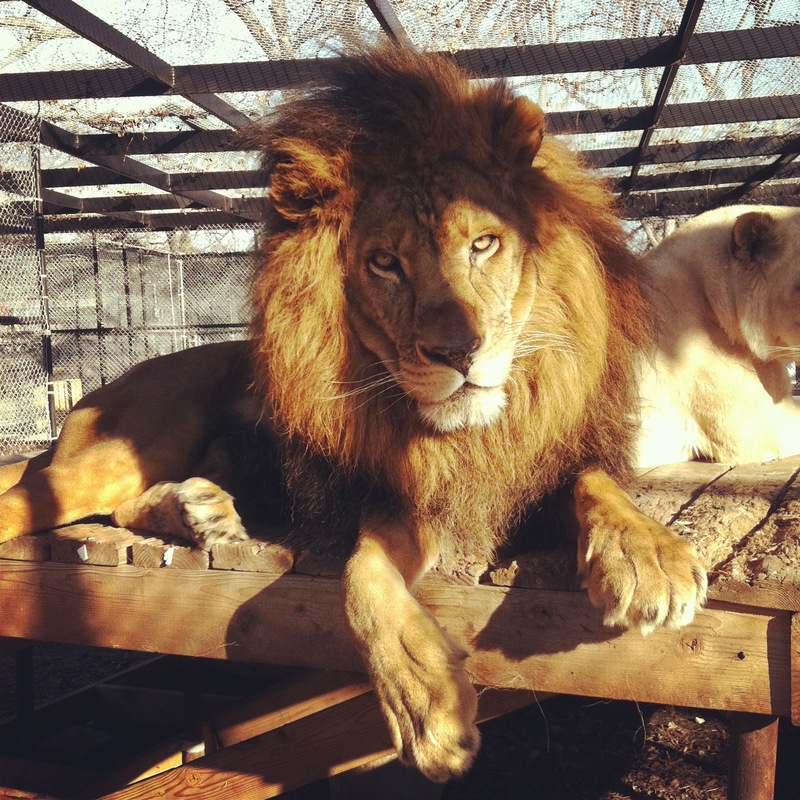 But there they were, these big beautiful cats that became my family in Texas. 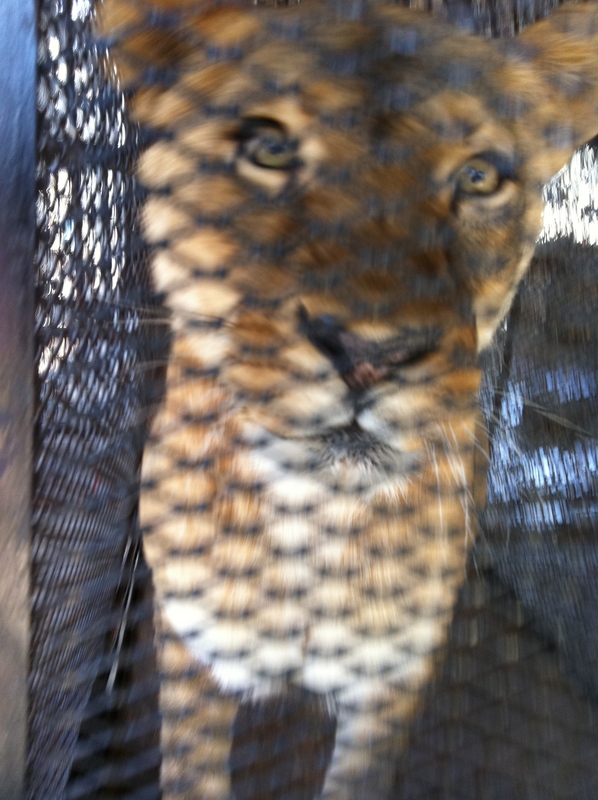 In-Sync Exotics promotes protected contact with all of their cats and volunteers. 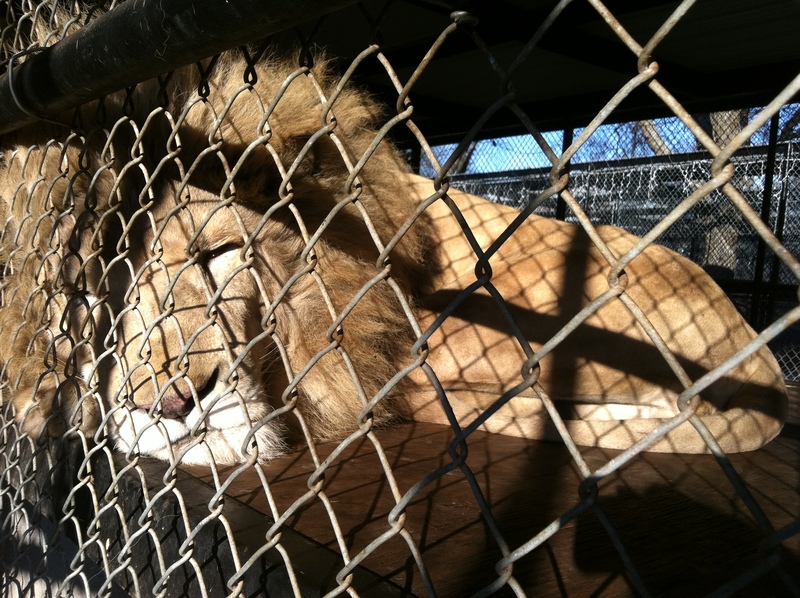 Although these are my pictures, I was never in any enclosure with a lion or tiger. Previous Postthis week in scienceNext Postany hope for the amur leopard?